There are multiple routes (oral, intramuscular, subcutaneous are all examples) through which medications and nutrients can be taken into the body, and intravenous is the most direct and immediate route. We provide a number of intravenous therapies developed through the practice of Orthomolecular Medicine. 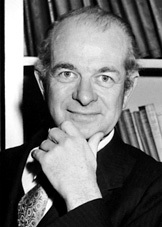 In the 1960’s, biochemist Linus Pauling coined the term “Orthomolecular Medicine” in reference to the practice of applying megadoses of vitamins, minerals, electrolytes, and other nutrients essential to the function of the body with an aim at “correcting” imbalances or deficiencies which could be contributing to an illness or disease. Orthomolecular medicine is not necessarily meant to replace or be used instead of conventional practices such as pharmaceutical medications and surgical interventions. Rather, it is a safe means of supporting the functionality of the body with the intent of recovery from an illness or disease. These publications were then refuted in a 1979 publication by Creagan et. al. (4) however, the vitamin C in the Creagan study (10 grams) was administered orally, which differed significantly from the methods of Pauling and Cameron who administered a combination of intravenous and oral ascorbate. 4. Creagan, Edward T., et al. “Failure of high-dose vitamin C (ascorbic acid) therapy to benefit patients with advanced cancer: a controlled trial.” New England Journal of Medicine 301.13 (1979): 687-690. Over the ensuing decades, much, much more investigational research has been done on the application of intravenous Vitamin C in cancer care. While a select few case studies (5, 6, 7) have demonstrated possible tumor-reducing, chemotherapeutic properties, unfortunately such results are not reliably obtained. In vitro (lab) studies likewise conclude that Vitamin C has the potential to induce cell death in cancer cells (8, 9). However, other than in a limited number of case studies, Vitamin C does not reliably shrink or resolve malignant tumors. With further research and innovation, however, the use of intravenous Vitamin C as a nontoxic cancer treatment might one day be a reality. Renal impairment and a deficiency in glucose-6-phosphate dehydrogenase are the only two known risk factors for withholding intravenous high dose Vitamin C. G6PD levels should always be checked via blood before administering intravenous high dose Vitamin C, as death could result in a person with deficient levels due to a rare genetic condition. In a survey of physicians who administered IVC to 11,233 patients in 2006 and 8,876 patients in 2008, researchers reported that the most common indications for administration of IVC were infection, cancer, and fatigue. The researchers also reported that,”Of 9,328 patients for whom data is available, 101 had side effects, mostly minor, including lethargy/fatigue in 59 patients, change in mental status in 21 patients and vein irritation/phlebitis in 6 patients” concluding that “high dose intravenous Vitamin C appears to be remarkably safe” (10).